Welcome to BTB Builders, L.L.C. Did you recently purchase an old office space that needs some major renovations? Are your employees complaining about the outdated look in your office? Does your office simply need new paint or carpet? BTB Builders can help you decide exactly what you want to fit within your budget and time restraints. Our company specializes in Interior Tenant Renovations. BTB Builders have provided our clients with exceptional service from the beginning to the final stages of office renovations. 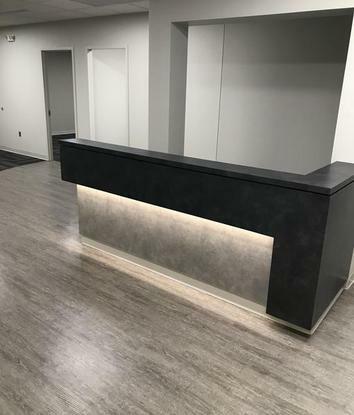 Our completed projects have ranged from 1,000 to 45,000 square feet - which includes business, retail, and medical offices. Our services include, but are not limited to, all aspects of drywall, carpet, tile, paint, specialties, and hardware installation. We never compromise on our commitment to quality and service.